Able Locksmiths, LLC is the locksmith of choice for businesses of every size in Frederick County and the surrounding tri-state area. Our commercial clients include property managers, landlords, apartment complexes, office buildings, institutions, colleges, hospitals and government facilities. We support our commercial clients with a team of professional technicians and staff. Our highly trained and certified locksmiths provide reliable services of the highest caliber for our many satisfied clients. We have a billing system in place and accept purchase orders. We offer the locksmith services listed below to our business and commercial customers. Our comprehensive services will ensure that your business, storefront or commercial location is secure and meets your specifications. We are experienced in creating and managing complex master key systems for institutions, complexes and campuses. We are thoroughly trained in complying with the Fire Marshall Regulations to ensure that our clients’ properties are safe and pass inspection with ease. We are happy to discuss your specific needs to develop the best security solutions for your business, within the parameters of your budget. 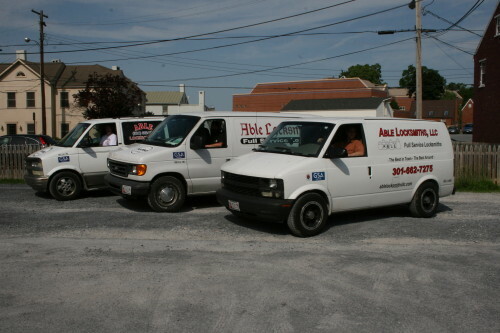 Able Locksmiths, LLC is proud to offer the highest quality locksmith services for all your Commercial and business needs in Frederick County and surrounding areas Including. If you do not see your county listed, please call! We are happy to serve other nearby areas.